Late last year we began a project to photograph and record all of the Headstones in the Old Parish Churchyard in Irvine. The Headstones were in a fairly poor condition, having been subject to the harsh weather of the West Coast of Scotland, vandalism and just the effects of age. 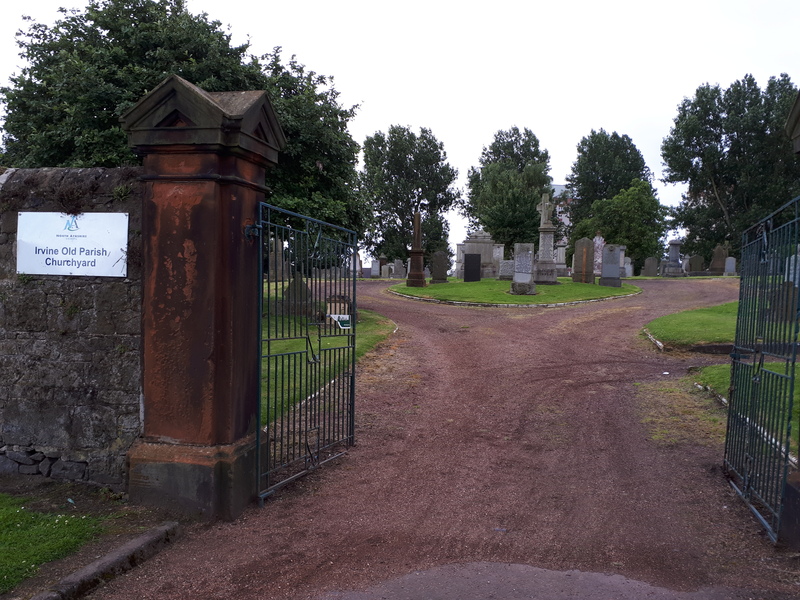 The Local Authority have maintained the grounds, and much work has been done by the Irvine Kirkyard Preservation Group. But the authority has to value safety over historical preservation, and they have been forced to make some of the headstones safe by laying them flat on the ground, not always inscription up. Although it has taken us many months, we’ve now completed that phase of the project, having photographed and uploaded onto maps every single headstone in the Churchyard, some 1760 headstones, many have inscriptions on multiple faces of the headstone, so these were photographed from multiple angles to allow all of the text to be read, so there are actually many more photographs than headstones. We’re now beginning to move onto the next phase of the project, and are looking for volunteers to help with this. What we want to do now, is get the inscriptions all transcribed and added below each picture. This will allow the headstones to be more easily searched, and allow visitors to the site to search for the headstones of ancestors, relations and those that they find interesting. Please get in touch if you’d like to get involved and help out with this project, by emailing us at info@irvinescotland.info.